Awe has high entertainment value, strong emotions, progressive characters, thrills, chills, comedy and some philosophy. Prasanth could have even made this film work without big actors or fancy sets in it. 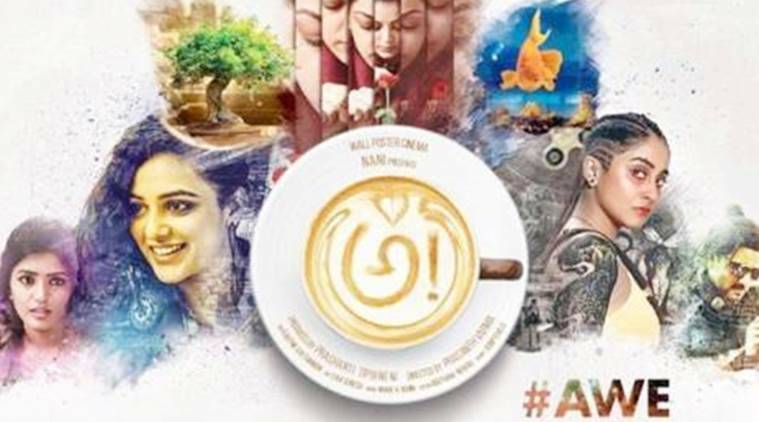 Awe stars Kajal Aggarwal, Nithya Menen, Regina Cassandra, Eesha Rebba, Srinivas Avasarala and Murali Sharma among others. 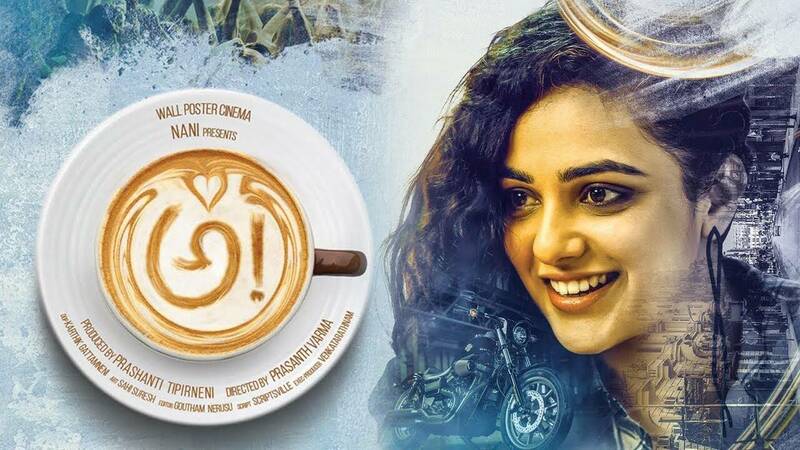 Debutant director Prasanth Varma wrote the script of Awe after a series of disappointments as many of his films were shelved because the producers developed cold feet at the last minute. He wrote this film with the idea of producing it as well. The budget he had in mind was Rs 5 lakh. With that money, he could not have afforded many things. Like A-list actors, top-notch technical team, flamboyant sets, and costumes among many others things that we get to see in the finished product that reached the cinemas today. The only way Prasanth could have made the audience care less about the quality of the production is by making them care more about the story and characters in it. He had to write a strong script filled with interesting characters, intriguing situations and backed it up with a gripping narration. And Awe is exactly that. It has high entertainment value, strong emotions, progressive characters, thrills, chills, comedy and some philosophy. Prasanth could have even made this film work without big actors or fancy sets in it. It’s a good thing that Nani found Prasanth and supported him financially to present the story on a bigger scale with seasoned actors and help it get a huge release worldwide. Awe is set within the confines of a fancy looking food court that has so many stories going around. The food court itself is a character in the film. It has a coffee shop, a library, restaurant and lots of lovable characters. Each character is too busy to care what’s happening at the next table and stay put on their side of the food court. They are compartmentalised and lost in their own problems. This high-concept film is not whatever you think it is. It has different stories from different genres: the coming-out story, a heist thriller, a horror story, a fantasy that follows a man’s bonding with a fish and a bonsai tree. It also deals with the subject of mental issues and child’s safety. Oh yes, and also the science fiction. It’s a smartly written genre-bender: a genre which is referred to films that set us up for a volley of body punches but knock us out with a left hook to the head (like Mike Tyson). We don’t see it coming until we are already hit. For the major part of the film, it feels like we are cinema hopping or channel suffering. Watching five films at the same time. Switching between films when they go to commercial breaks. The only part of the story that assures us that we are not cinema-hopping is that all the five genres are unfolding inside the same food court. Prasanth has treated his debut feature-length film like an American TV series. Leaving us the audience hanging on a cliffhanger, while he jumps to the next genre. The best part is we don’t have to wait until next week to know what happens. The suspense will end in about 20 minutes. And that’s a relief. Since we care about all the characters, their stories and what happens to them, we tend to generously forgive Prasanth for playing with our minds and emotions. What caught my attention in Prasanth’s writing is the clarity. He exactly knows what he wants to say and says so without any difficulty. The ensemble cast imbibes the plot with endearing performances adding layers to the unfolding drama. A depressed Kala Aggarwal’s Kali, bubbly Nithya Menen’s Krish, innocent Eesha Rebba’s Radha, tattooed Regina Cassandra’s (Wait. What was her name? ), job-hungry Priyadarshi Pullikonda’s Nala and egoistic magician Yogi, played by Murli Sharma, that cute little girl in the restaurant, Nani’s golden fish and Ravi Teja’s bonsai tree keep us engaged, aiding Prasanth to easily pull the rug out from under the audience.